For anyone that knows me, I offer a bit of fuhn…Some days polka-dots are pure inspiration when you come home, put on your pj’s and just fix dinner. I know, y’all are wondering, what is she smoking, but quite honestly the best dinner that I have made in ages and I owe it all to the purple polka-dot jammies that I brought home from Sam’s Club. Pure inspiration they were, no time to cook big, but knowing that Phillips Seafood was open and just my luck they were packing fresh sea scallops in 1 pound bags, just what I needed! Big dots! 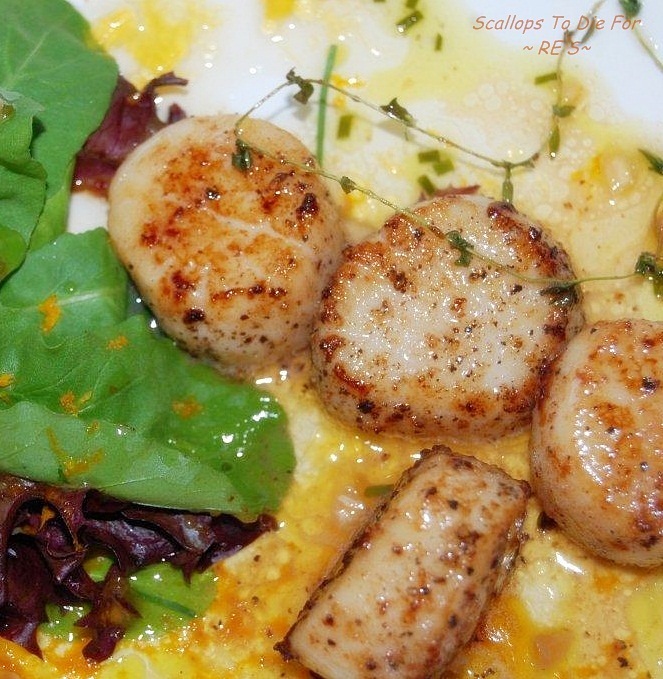 Inspired by Bon Appetit I adapted a scallop recipe that I will forever cherish. Served with a really good Middle East Rice dish…Recipes later.